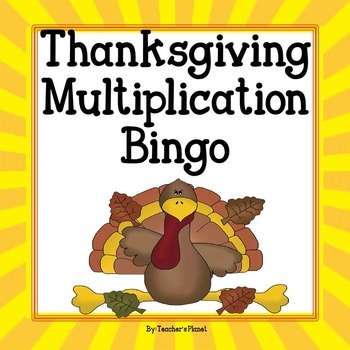 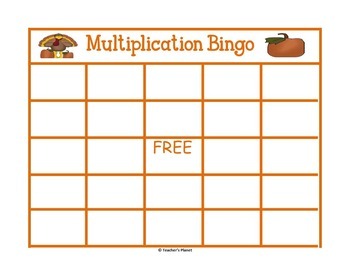 In Thanksgiving Multiplication Bingo, students write products on their game boards and try to get 5 in a row to be the winner. 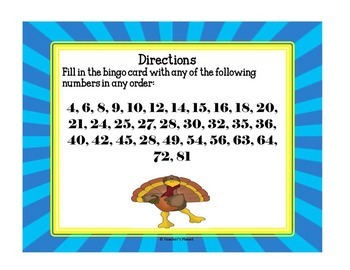 This is a great small or large group activity and reinforces key concept skills. 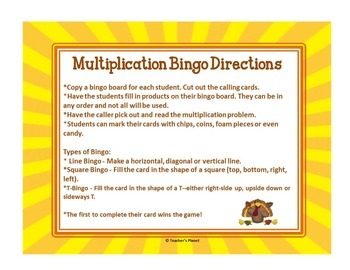 This game also includes a multiplication chart/poster and blank foldable flashcards to give further practice.